On Sunday I went over to Lost Ark Games in Stevenage. 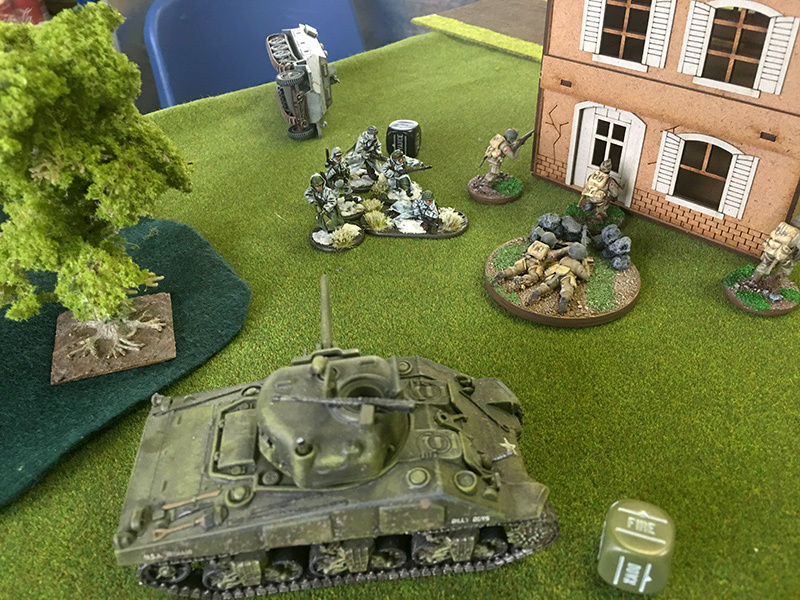 Steve, who runs the shop, has started an informal meet up on Sundays every two weeks where those of us who play Bolt Action locally can meet up, play a game, do some modelling/painting or just have a chat. Sunday was the first meeting. I know some people who meet up at the shop on a Monday or Thursday night for a bout of Bolt Action, but I can’t make either of those nights as I run a choir on one and a camera club on the other, so this was my first opportunity to actually play a game there. I’m still very much a Bolt Action beginner. I’ve only played a few games and the last time was a few months ago as I’ve been playing Wild West stuff at Letchworth Wargames Club, so I’ve forgotten some of the stuff I was learning before we started the cowboy stuff. I took my Fallschirmjagers and my US Airborne as I didn’t know whether I’d get a game. There were two people there when I arrived, I’d met John down there. He was playing his Bulgarians against some Russians played by Andy. It turns out we knew each other back in the eighties when we both worked for the same outfit, small world. I watched for a while then Rob turned up. 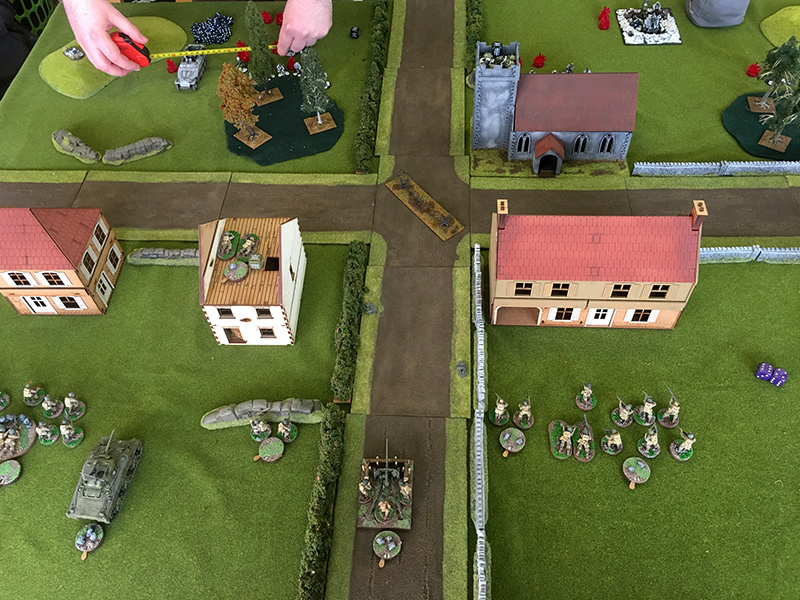 He spent an hour or so painting some Germans and then we had a game. Turned out Rob is the son of one of the ladies in my choir – even smaller world. We both played 1,000 points. 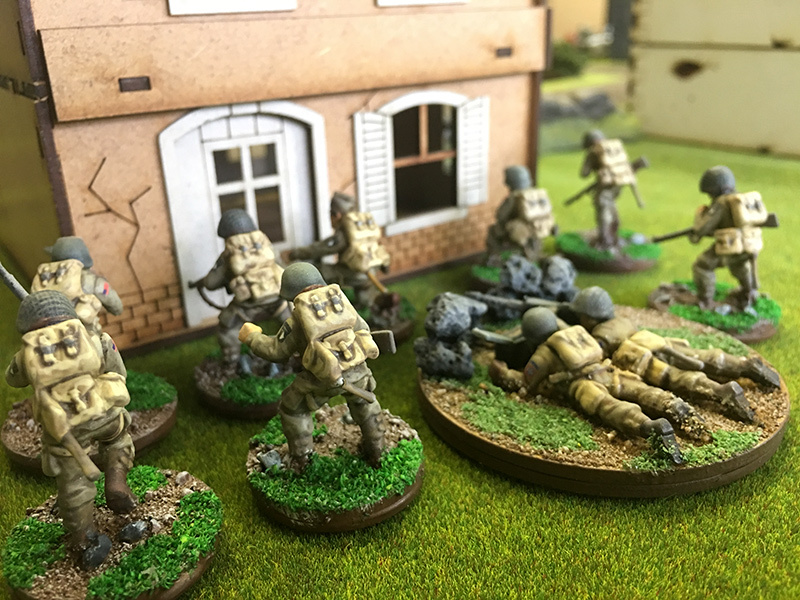 My US Airborne took on his winter Germans. 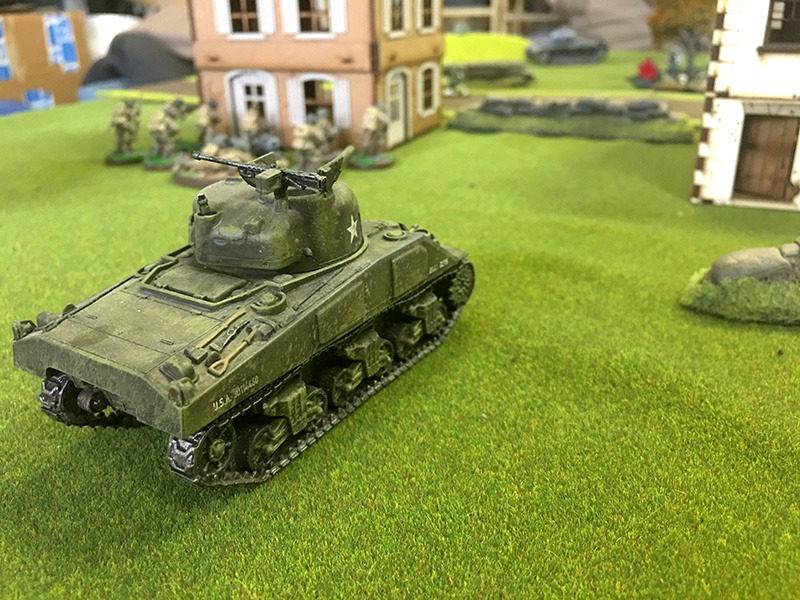 I had an officer, 3 squads, a sniper team, a bazooka team, 57mm AT gun and a 75mm Sherman. Rob’s army included a sniper team, engineer squad with flamethrower, flamethrower team, Hanomag, AT gun and a Mk4 Panzer. 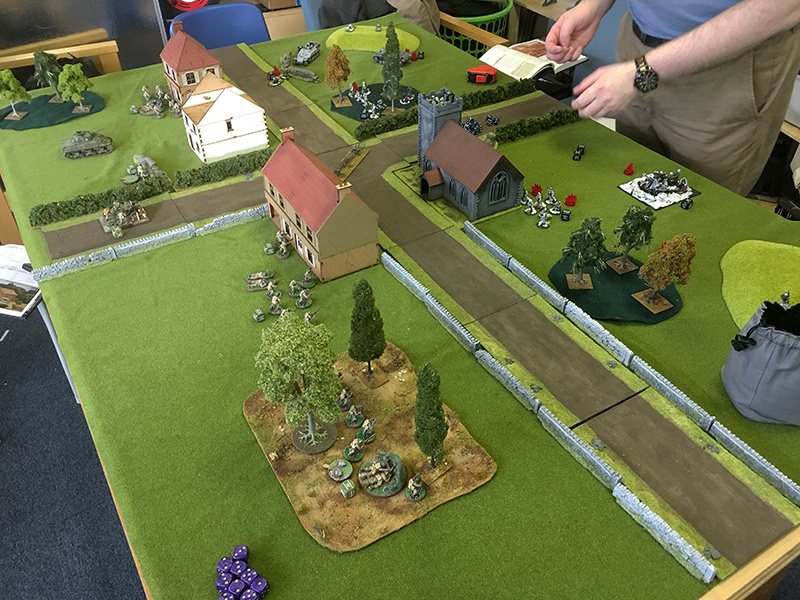 After initial setup we had a bombardment which meant throwing a dice for every unit to see if any casualties or pins were awarded. We played five rounds. I lost my sniper team early on. My Sherman was quite successful, immobilising Rob’s panzer and then taking out his Hanomag. With two rounds to go I had taken four dice and Rob had taken three, his flamethrower was pretty successful against my left flank. The last 2 rounds were a little rushed as the shop was closing. Rob managed to take a die from me to even things up but then I got another of his units for the win.